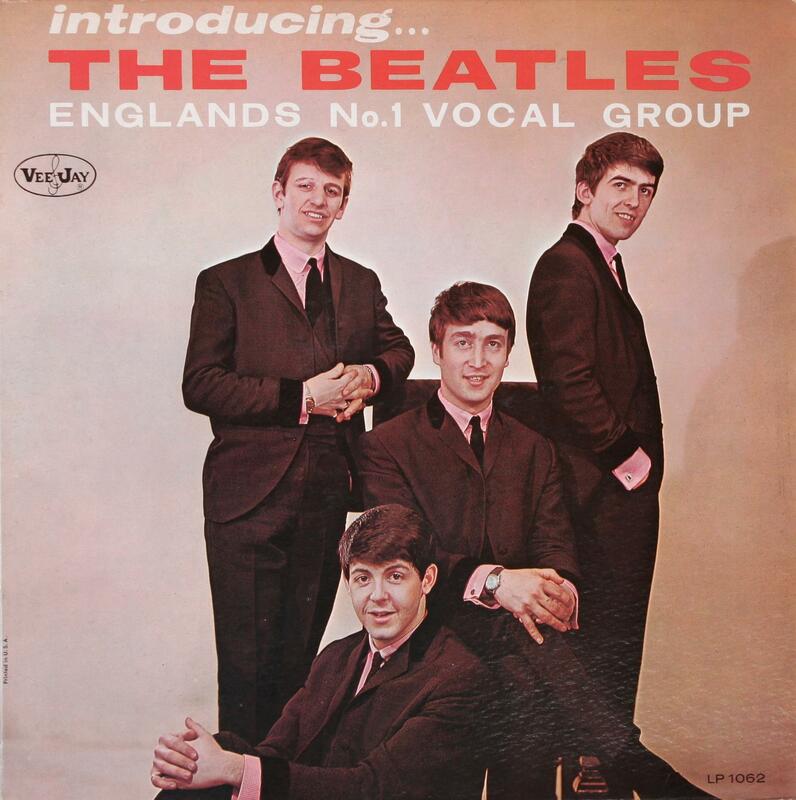 The Beatles Collection » Introducing The Beatles, Vee-Jay VJLP 1062, Cover Variations (Version One). Introducing The Beatles, Vee-Jay VJLP 1062, Cover Variations (Version One). 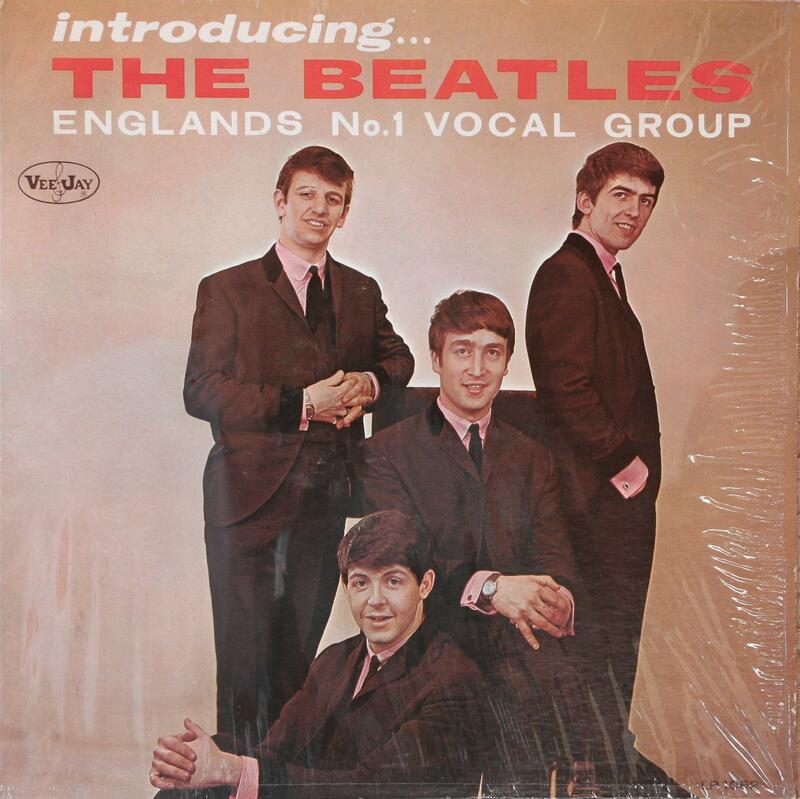 Introducing The Beatles Vee-Jay VJLP-1062, Version One, January 10, 1964. 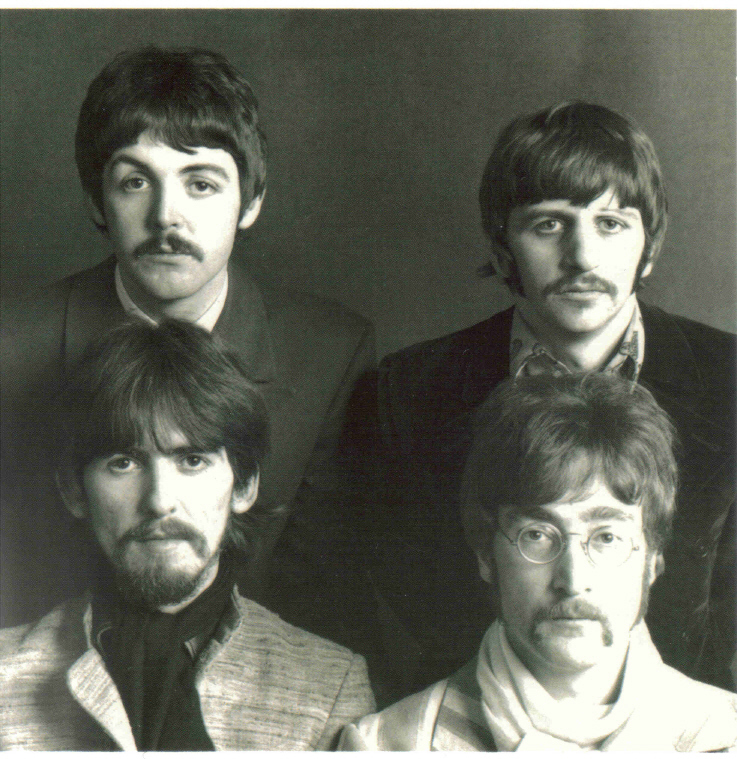 The front cover of Introducing The Beatles uses the Angus McBean color photograph. 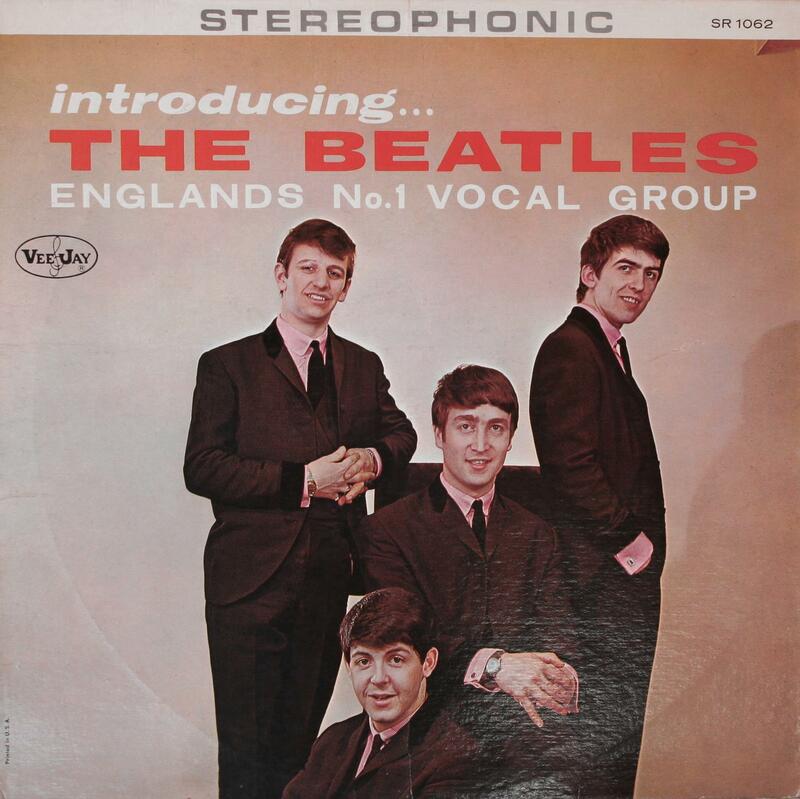 The title of the album, appearing at the top of the jacket on two lines as “Introducing… THE BEATLES”, is followed by the phrase “ENGLANDS No.1 VOCAL GROUP” to let the American pablic know of the group’s popularity in their homeland. The mono covers have. The mono covers have the slick positioned so that the number LP 1062 appears in the lower right hand corner. The positioning of the skick on the stereo covers cuts off all of Paul’s arms except for a silver of his thumbs and exposes a white top banner with “STEREOPHONIC” centered in grey and the number SR 1062 in black in the upper right-nand corner. Covers printed by Coburn & Company, an offset printing firm in Chicago. 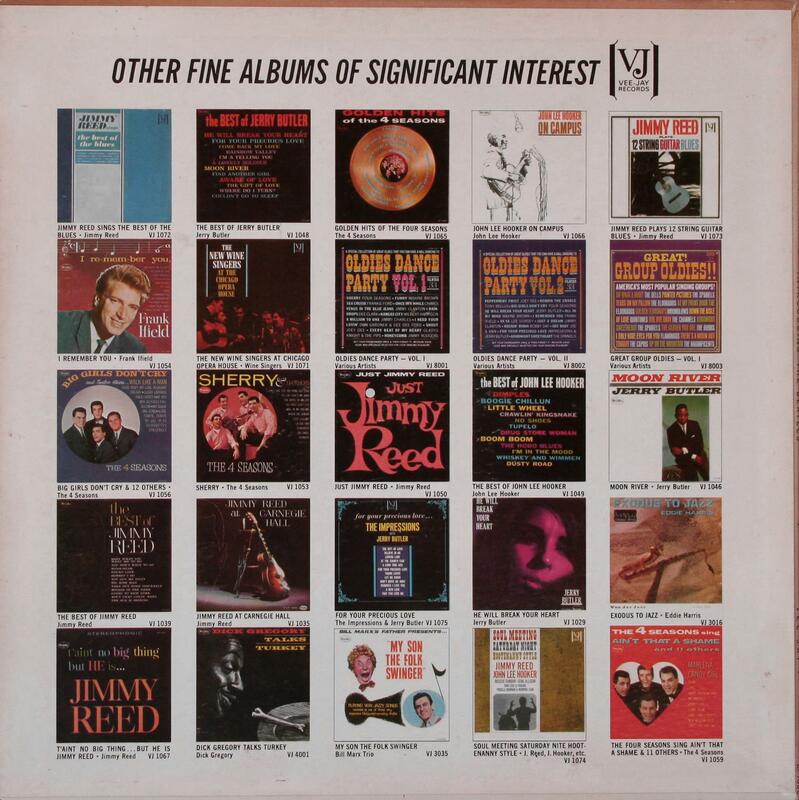 Summary sheets for the first quarter of 1964 indicate that 79,169 mono and 2,202 stereo copies of Introducing The Beatles were shipped to distributors during the first fifteen days of the year befor sales were abruptly halted by the temporary injunction prohibiting Vee-Jay from issuing Beatles product. It is estimated that an additional five to ten thousand copies of Version One. The firs front cover slicks have “Printed in U.S.A.” running vertically along the left side of the jacket one to two inches from the lower left corner. The later cover slicks for Introducing The Beatles were probably printed by Hill Lithograph Corp. The later cover slicks do not have “Printed In U.S.A.”. 1. 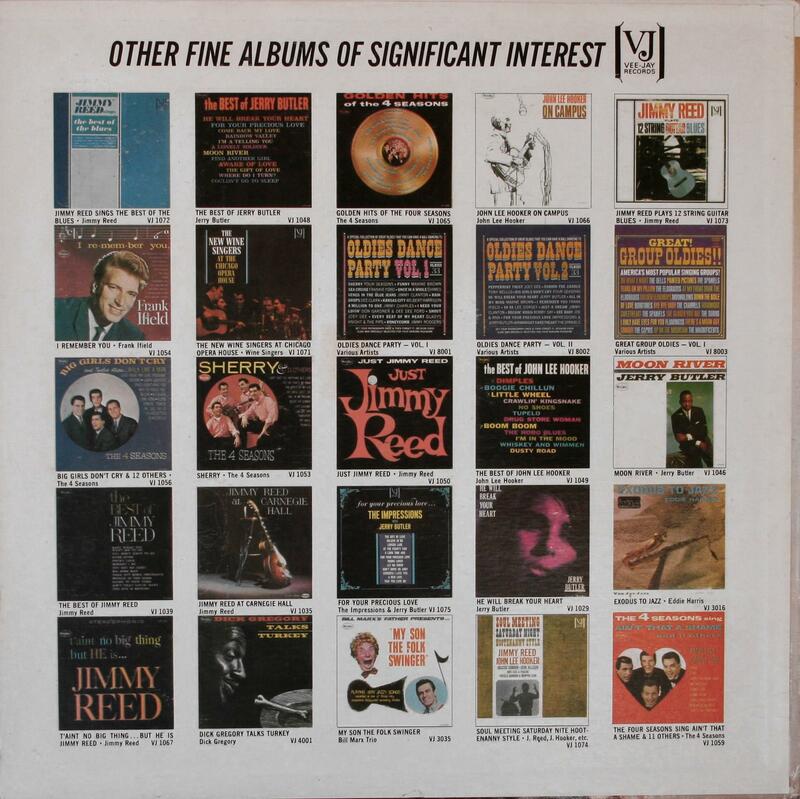 The first cover variation has miniature color photographs of the covers of 25 Vee-Jay albums, on the back side. The back cover artwork used on this version of the jacket is nothing more than one side of the inner sleeve dust jacket. This variation is known as the “Ad Back” cover. All Ad Back covers were manufactured with front slicks containing the phrase “Printed in U.S.A.” running vertically along its lower left side. 2. The second variation of the album’s back cover is also shrouded in mystery and speculation. It is similar to the Ad Back in that it contains no information regarding the group or the songs. 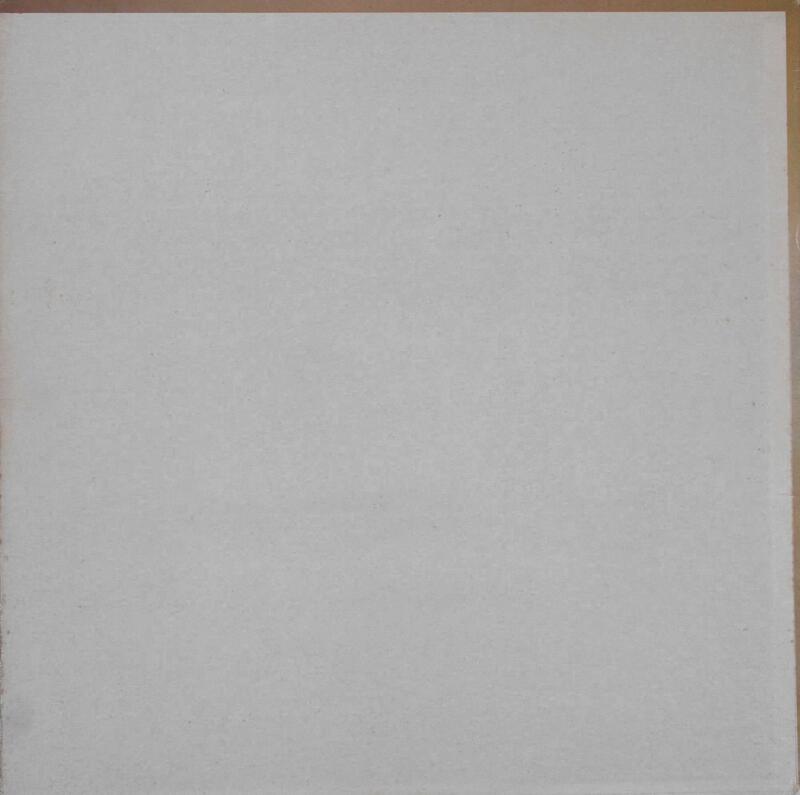 But white the Ad Back is one of the most colorful back covers in the Beatles catalog, the second variation is at the other end of the spectrum – a glossy blank white slick. This variation is known as the “Blank Back” cover. The first mono cover with “Printed in U.S.A.” on the front cover slick. The Later mono front cover slick without “Printed in U.S.A.” All stereo Blank Back has “Printed in U.S.A.” on its front cover slick. 3. The third back cover variation is much more conventional. Although this cover has no liner notes or pictures, it does list the song titles in the thick blank print in two columns. The VJ brackets logo is centered at the top of the cover above the title of the album, which appears in huge black letters. This boring cover variation, hereinafter referred to as the “Titles on Back” cover, is clearly the result of Vee-Jay’s desire to get the album issued as quickly as possible. 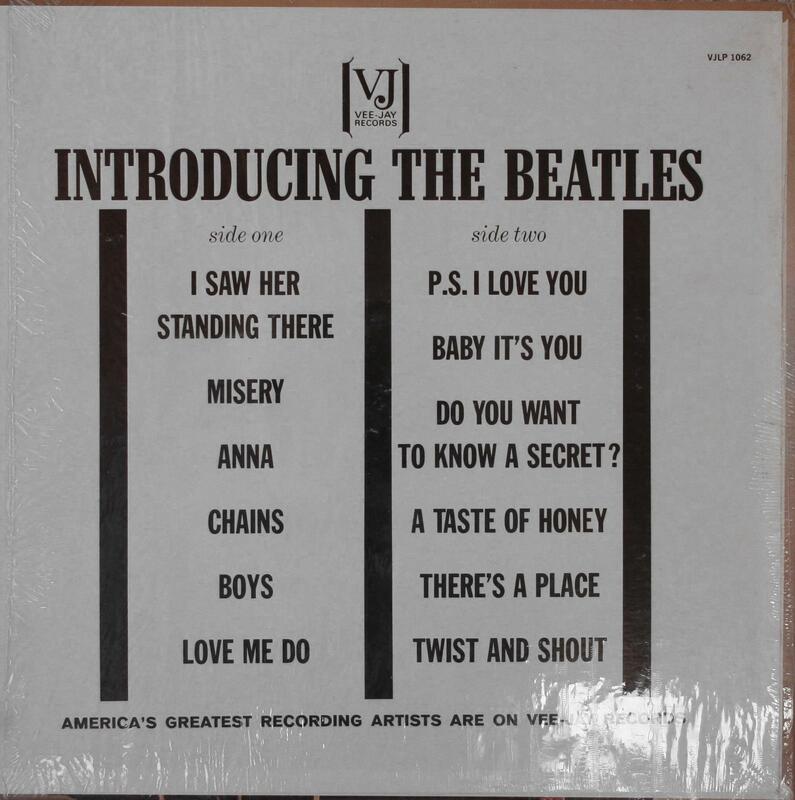 First version of the “Titles on Back” cover include “Love Me Do” and “P.S. I Love You” title songs. This cover of Introducing The Beatles printed has mono variation only. Front cover slicks without “Printed in U.S.A.” All stereo versions of the “Title Back” covers are 100% fakes.